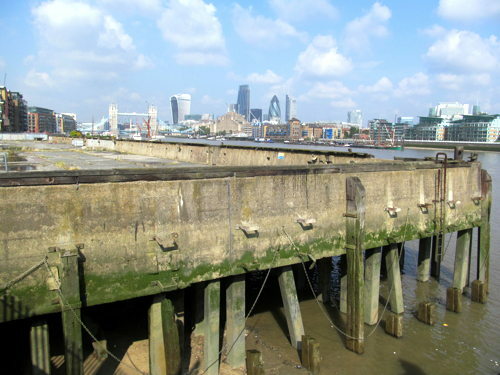 Southwark Council has come under fire after its legal challenge to plans to use Chambers Wharf as a construction site for Thames Water’s super-sewer was rejected for being a day too late. “We are extremely disappointed by this decision and the Government’s decision to not consider alternatives to Chambers Wharf,” said Cllr Peter John, leader of the council. “We always knew this was going to be a tough battle, but I wanted Government Ministers to have to justify to local residents why they think its acceptable that their lives should be blighted in this way. I again repeat my challenge to Eric Pickles and Liz Truss. Come to Bermondsey and speak to people about why they think seven years of 24 hour a day noise next to homes and schools is OK.
“We will now go back and look at our options, take advice from counsel and make a decision on our next steps. Meanwhile we will continue to work with residents to mitigate the harm they will suffer. Posted in Planning, Politics, River Thames.